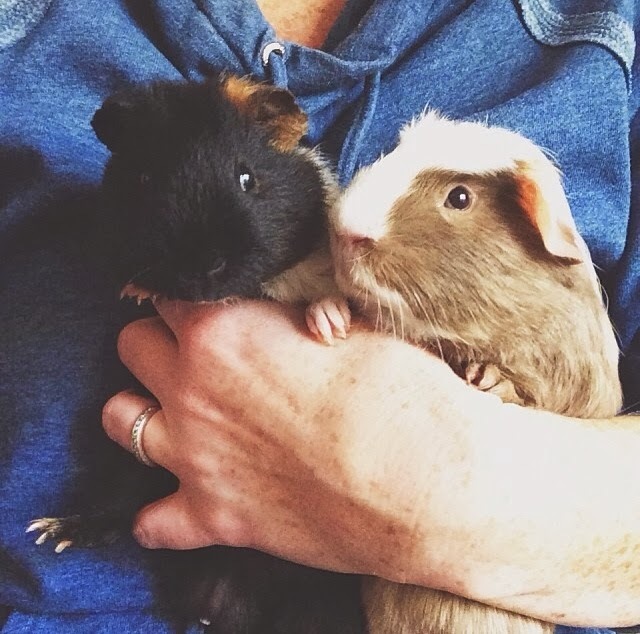 Here's a news flash: There are no guinea pig valentines out there. RIGHT?! If you're not outraged by that, well, I just don't know. Liam wants guinea valentines every year and we end up making them ourselves since there are still no options out there. These guys are definitely outraged. 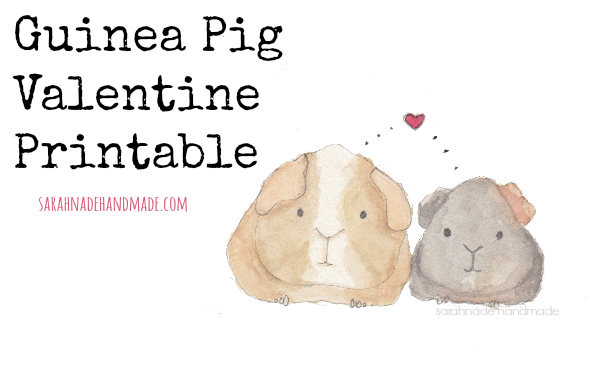 This year, I painted our pigs in a really simple pose and when I posted it on Instagram, the photo got the most "likes" I've ever gotten so I decided to make a printable sheet of them for little guinea pig lovers out there to use for Valentines. I kept the image simple and opted out of cute puns and sayings because I like these guys just as they are. You can print them on card stock, cut them out, and use them just as cards with "to" and "from" written on the back, or punch a hole in them and attach them to lollipops or bags of candy or whatever. If you need a last minute card you can make at home, this is for you! Happy Valentines Day from my pigs to you!